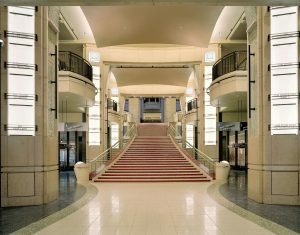 Interior of the Dolby Theatre (formerly known as the Kodak Theatre) where the stars enter for the Academy Award ceremony (Oscars). CMF fabricated and installed Best Picture plaques and glass and custom stainless steel cases for each. 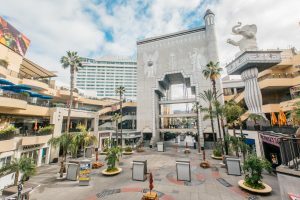 The company also performed sheet metal throughout the Hollywood & Highland complex.